Govt. Jobs: NHAI Recruitment Various Site Engineer Posts 2018. NHAI Recruitment Various Site Engineer Posts 2018. 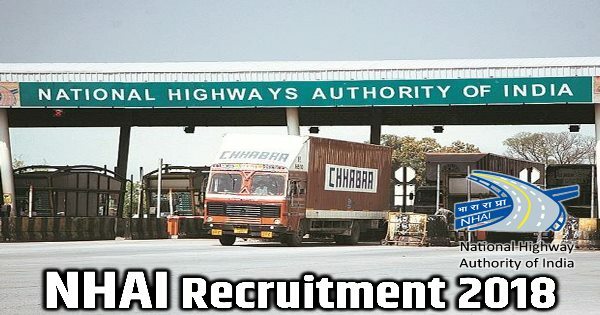 National Highways Authority of India (NHAI) Recruitment 2018 invites job application. This jobs is for the Site Engineer. Candidate from the Gujarat will apply for this job. This is a great chance for interested candidates. Post Name: Site Engineer Posts. Last Date for Submission of Application: 03 October 2018.